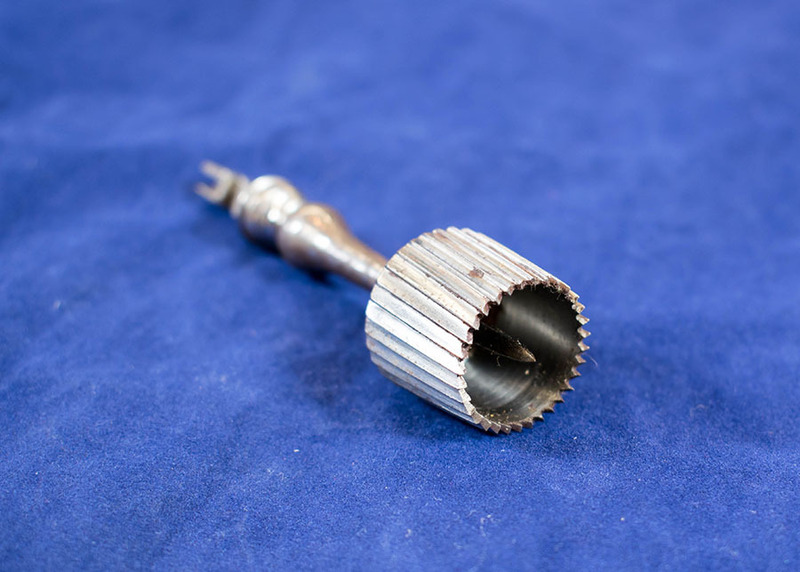 Steel unmarked crown trephine, with central locating/piercing pin, and conical section body with spiral outer ridging, and spiral cutting teeth. Has a keyed end for locating into the receiving shaft of the T-shaped trephine handle. 8.1cm in length, 2cm in diameter. 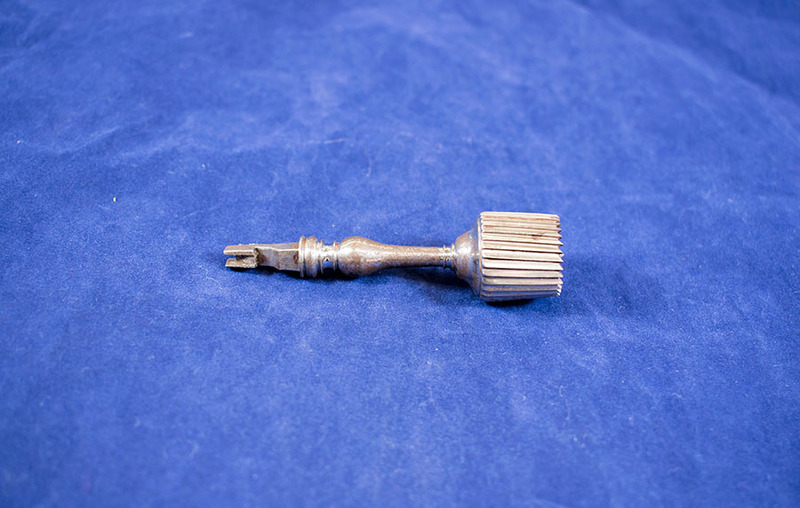 “Crown Trephine,” Heritage, accessed April 25, 2019, https://heritage.rcpsg.ac.uk/items/show/577. 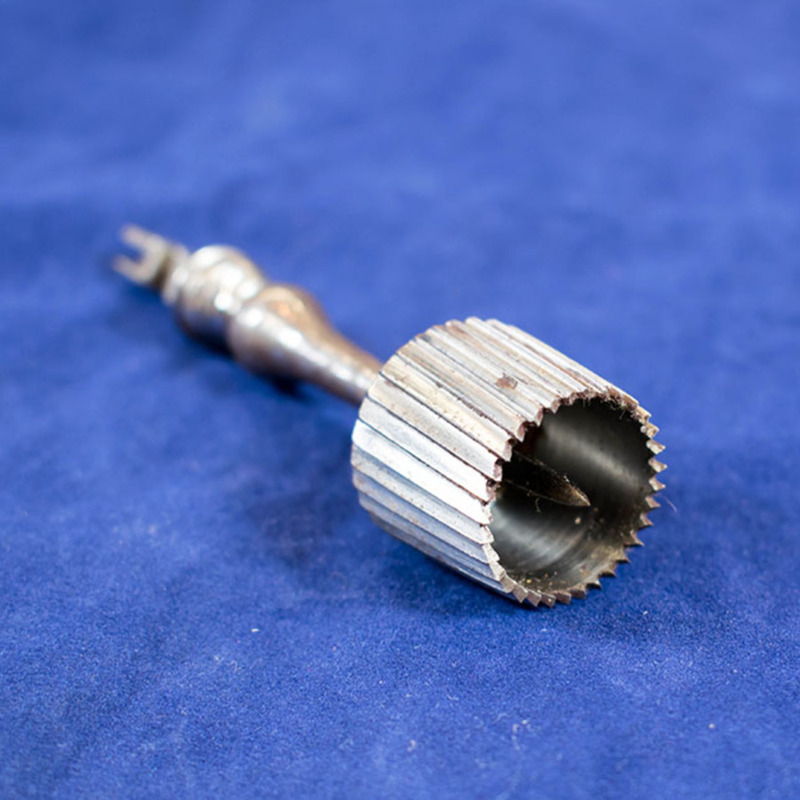 Description: Steel unmarked crown trephine, with central locating/piercing pin, and conical section body with spiral outer ridging, and spiral cutting teeth. 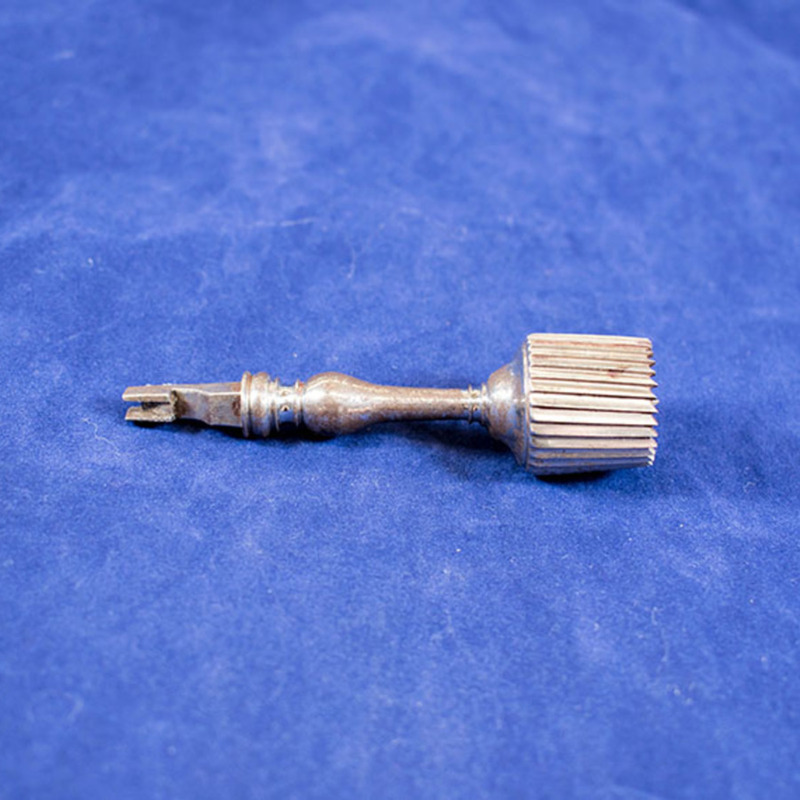 Has a keyed end for locating into the receiving shaft of the T-shaped trephine handle.